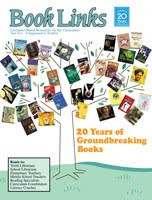 Since it's time for the annual convention of the American Library Association (hi from New Orleans), I thought it might be a good moment to plug the latest issue of Book Links magazine, a Booklist publication of ALA. Book Links is celebrating its 20th anniversary with a special issue this month "with a look at the most groundbreaking books and authors of the past two decades." 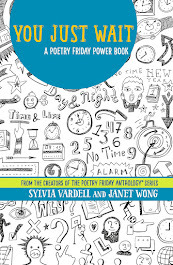 My "Everyday Poetry" column is a full-blown article on the recent history of poetry for children entitled, "Time for Poetry; Two Decades of Poetry for Children." 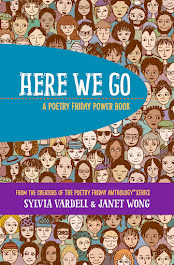 When we stop, take a breath, and look back, we see that the last 20 years have given us a whole new generation of poets writing for young people including Douglas Florian, Joyce Sidman, J. Patrick Lewis, Kristine O’Connell George, Janet Wong, Pat Mora, Helen Frost, Nikki Grimes, Margarita Engle, and many more. It’s seen the emergence of new awards for poetry for children established by Lee Bennett Hopkins (in association with Penn State University; for poetry books in 1993 and for new poets in 1995), Bank Street College (the Claudia Lewis Poetry Award in 1998), and the Poetry Foundation (the Children’s Poet Laureate in 2006). ALSC began featuring the now-annual Poetry Blast with poets reading from their works at the ALA annual conference in 2004 (I'll report on the 2011 event on Monday!) 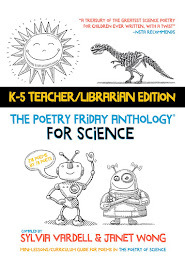 and the National Council of Teachers of English initiated the annual “Poetry Notables for Children” list in 2006. We’ve seen the rise of the novel in verse and the fall of the multi-poet anthology. 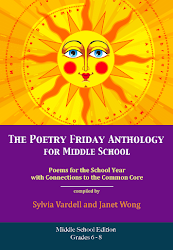 Now poets have web sites full of kid-friendly resources, many blogs showcase weekly “Poetry Friday” sharing, and the Cybils award celebrates poetry (among other categories) selected by children’s literature-focused bloggers. 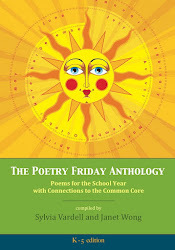 Poetry for children now makes its appearance as downloadable audiofiles and as e-books for Kindles and iPads. What’s next? First, let’s take a look backward. Prior to 1990, we must not overlook the gigantic contributions of Jack Prelutsky and Shel Silverstein who paved the way for many of today’s poets with their irreverent humor and child-centered topics. Nor should we discount the previous recipients of the NCTE award whose poetry careers established the depth and breadth of the genre for decades: Lee Bennett Hopkins (2009), Mary Ann Hoberman (2003), X. J. Kennedy (2000), Eloise Greenfield (1997), Barbara Esbensen (1994), Valerie Worth (1991), Arnold Adoff (1988), Lilian Moore (1985), John Ciardi (1982), Eve Merriam (1981), Myra Cohn Livingston (1980), Karla Kuskin (1979), Aileen Fisher (1978), and David McCord (1977). The works of these great names still merit reading and sharing. In fact, these poets are new names, too, for any child who has not yet encountered their poetry. Poetry has a special advantage in achieving timelessness—consider Ann and Jane Taylor’s “Twinkle, Twinkle, Little Star” published in 1806, for example. Let’s consider some of the major mile markers along the way over the last twenty years. These beautiful and groundbreaking works laid the foundation for the emergence of many other distinctive poetic voices from parallel cultures including Charles R. Smith Jr. (Rimshots; Basketball Pix, Rolls, and Rhythms, 1999), Jorge Argueta (A Movie in My Pillow/Una película en mi almohada, 2001), Carole Boston Weatherford (Remember the Bridge: Poems of a People, 2002), Hope Anita Smith (The Way a Door Closes, 2003), and Joyce Lee Wong (Seeing Emily, 2006). In just 20 years, the field of poetry for children has been transformed by new voices, new styles, and new formats. But those established names haven’t stopped creating either. Don’t overlook works such as The Tree That Time Built: A Celebration of Nature, Science, and Imagination (2009) compiled by Mary Ann Hoberman and Linda Wilson or The Great Migration: Journey to the North (2011) by Eloise Greenfield or Roots and Blues; A Celebration (2011) by Arnold Adoff or A Girl Named Mister by Nikki Grimes (2010) or City Kids: Street and Skyscraper Rhymes by X. J. Kennedy (2010) or Birds of a Feather by Jane Yolen (2011). Named the nation’s first Children’s Poet Laureate by the Poetry Foundation in 2006, Jack Prelutsky continues to write new works that receive instant recognition, such as his latest The Carnival of the Animals (2010) with the accompanying musical CD. Even the late great Shel Silverstein published another posthumous anthology in 2011, Every Thing On It. Lee Bennett Hopkins, 2009 NCTE Poetry Award winner, continues to produce award-winning works of poetry such as his own City I Love (2009), as well as nearly 40 anthologies in the last 20 years, including Good Rhymes, Good Times (1995), My America: A Poetry Atlas of the United States (2000), Days to Celebrate: A Full Year of Poetry, People, Holidays, History, Fascinating Facts, and More (2005), America at War (2008), and Sharing the Seasons (2010). 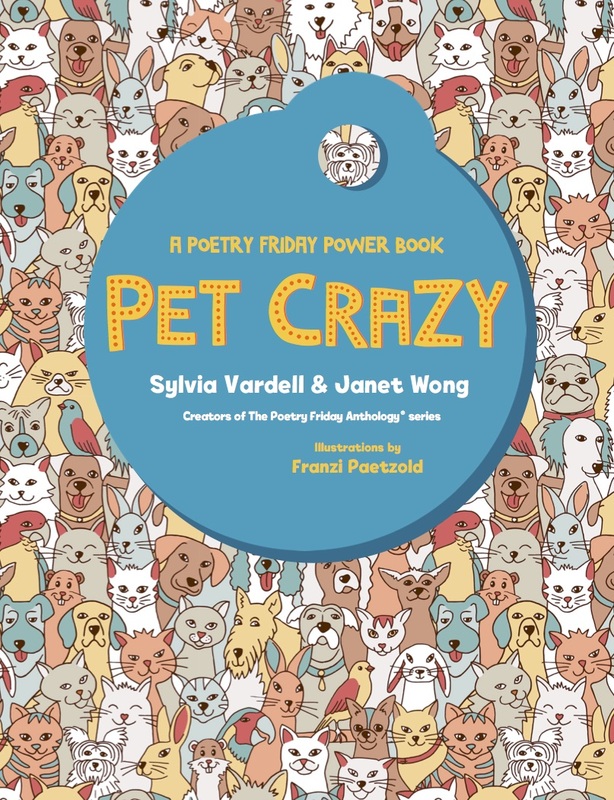 In addition, his anthologies often mark the debut of new up-and-coming poets such as Amy Ludwig VanDerwater, Jill Corcoran, Toby Speed, Cynthia Cotten, and many more. 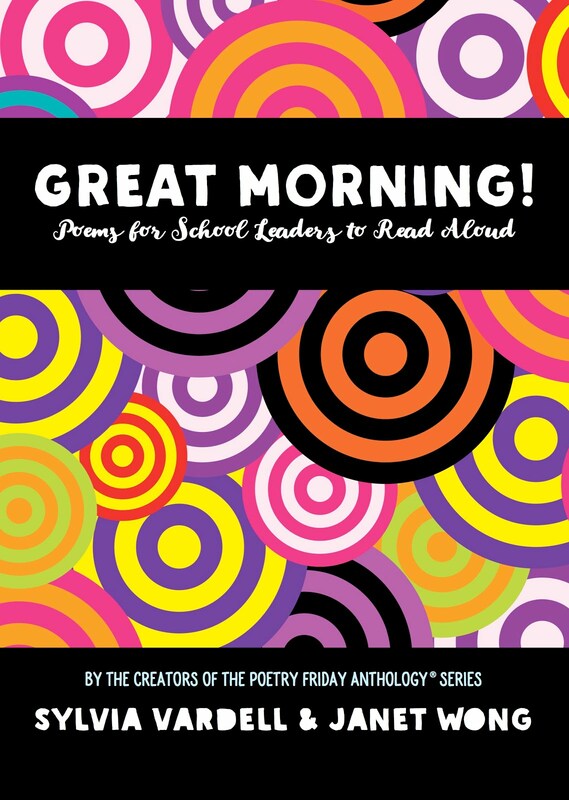 It’s exciting to see the genre of poetry grow and expand in all these different directions, exploring possibilities of poetic form, hybrids with other genres, and a creative use of design, visuals, and media. I’ve often said there is such variety in the smorgasbord of current poetry that everyone can find something to savor. The key is in keeping our poetry collections varied, current, and in use. 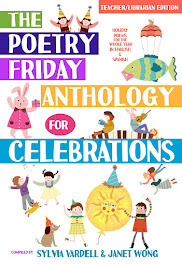 With well-stocked shelves brimming with the poetry gems of the last 20 years and a bit of poetry promotion (in April and beyond), kids will find something to enjoy and cherish for a lifetime. In the next 20 years, today’s readers are tomorrow’s poets—but only if we share poetry with them now. Posting by Sylvia M. Vardell © 2011. All rights reserved. Here's the final installment in my video "series" of readings from around the world. Both clips feature books from Norway. 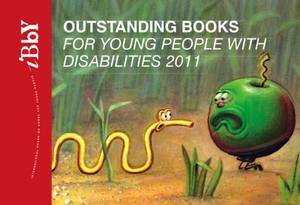 The first is from the IBBY Documentation Centre of Books for Disabled Young People, sponsored by IBBY and currently housed at the Haug School and Resource Centre in Sandvika, Norway and managed by Director Heidi Cortner Boiesen. The aim of the Centre is to “promote research, production, mediation and the use of books especially designed for disabled young people.” It is a project of IBBY and the Center develops an annotated catalogue and international traveling exhibition, the "Outstanding Books for Young People with Disabilities" list launched biennially at the Bologna Book Fair. Here's Sissel Hofgaard Swensen who assists with selecting the titles for the Outstanding Books exhibition and catalogue reading an excerpt from the book, Pass deg, Line (No. 18), a novel for and about young adults with learning disabilities. Posting (not poem) by Sylvia M. Vardell © 2011. All rights reserved. 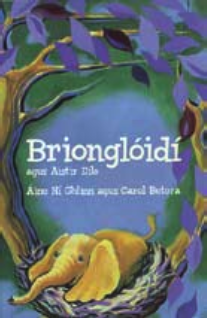 Here's one more "international poetry video"-- this time featuring an Irish poem for children. It's from a book on another international book list, the IBBY Honour List, a biennial selection of outstanding, recently published books, honouring writers, illustrators and translators from IBBY member countries around the world. The titles are selected by the National Sections which can nominate one book for each of the three categories: writing, illustrating, and translating. The whole 2011 list is available here. Important considerations in selecting the Honour List titles are that the books are representative of the best in children's literature from the country and that the books are suitable for publication throughout the world. The Honour List diplomas are presented at the IBBY Congresses where the catalogue is introduced and the books are shown for the first time. Thereafter seven parallel sets of the books circulate around the world at exhibitions during conferences and book fairs. Permanent collections of the IBBY Honour List books are kept at the International Youth Library in Munich, the Swiss Institute for Child and Youth Media in Zurich, Bibiana Research Collection in Bratislava, at IBBY in Tokyo, and at Northwestern University Library at Evanston, Illinois. 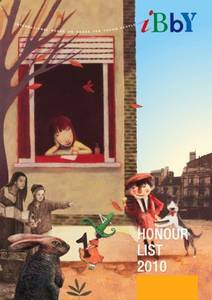 I wrote about the IBBY Honour List last year when the list was first announced. But this year, I was able to corral a colleague into letting me film her reading a poem. Here's the featured book. This collection of 40 poems on the theme of dreams encompasses an interesting range of voices guaranteed to bring a fresh perspective to the ordinary. A mouse dreams of sprouting wings to swoop like a bird-of-prey on its enemy the cat, while a dinosaur skeleton in the natural history museum imagines falling in love and fathering the first dinosaur babies in sixty-five million years. A school trip to Mars, a library in which characters are dislodged from their books and a flirtation between the sun and a grey cloud, are just some of the surprising happenings in this vibrant collection. 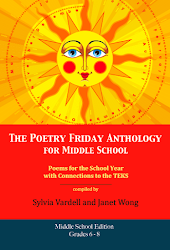 The poems are rhythmic, the imagery vivid and the language musical. 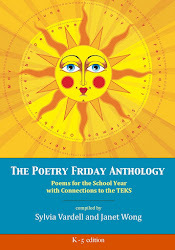 While each poem is a gem in itself, the themes are beautifully developed in the collection as a whole. The International Youth Library (IYL), the world's largest library of international books for children and young adults, compiles an annual list of best children's books from around the world called the White Ravens list.The 2011 list includes 250 titles in 30 languages from 40 countries. Of these, I found 14 poetry titles-- from 12 different countries. Pictured on the left, is the IYL booth at the Bologna Book Fair where all the White Ravens books are displayed for study and perusal. It's one of my favorite parts of attending the Fair and I'll miss having the opportunity to see these books "in person" now that my Bookbird editorship is ending and I'm not likely to be at the Fair often in the future. Montréal [Québec]: 400 Coups, 2010. –  p.
Rīga: Zvaigzne, . – 78 p.
Kyïv: Hrani-T, 2010. – 73 p.
Budapest: Manó Könyvek K., 2010. – 31 p.
The International Youth Library (IYL), the world's largest library of international books for children and young adults, compiles an annual list of best children's books from around the world called the White Ravens list.The 2011 list includes 250 titles in 30 languages from 40 countries. Of these, I found 14 poetry titles-- from 12 different countries. I took pictures of each of the books and found volunteers to read selections from 7 of them for a short video. Here are two poetry books from the U.S. on the 2011 White Ravens list. Boston [et al. ]: Houghton Mifflin Books for Children, 2010. –  p.
And here is my friend and colleague, Linda Pavonetti, a professor in the Reading and Language Arts Department at Oakland University in Michigan, reading her favorite poem from Joyce Sidman's Ubiquitous-- in Italy! 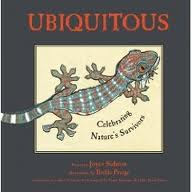 Here is the other poetry book from the U.S. that made the White Ravens list. San Francisco: Chronicle Books, 2010. – 69 p.
The International Youth Library (IYL), the world's largest library of international books for children and young adults, compiles an annual list of best children's books from around the world called the White Ravens list.The 2011 list includes 250 titles in 30 languages from 40 countries. Of these, I found 14 poetry titles-- from 12 different countries. I took pictures of each of the books and found volunteers to read selections from 7 of them for a short video. Here is a Dutch poetry book from the Netherlands on the 2011 White Ravens list. [Amsterdam]: Nieuw Amsterdam, 2010. – 62 p.
Here is Ingrid Bon, uber-librarian and leader in IFLA (International Federation of Library Associations), reading a poem from this book. The International Youth Library (IYL), the world's largest library of international books for children and young adults, compiles an annual list of best children's books from around the world called the White Ravens list.The 2011 list includes 250 titles in 30 languages from 40 countries. Of these, I found 14 poetry titles-- from 12 different countries. I took pictures of each of the books and found volunteers to read selections from 7 of them for a short video. Here are two poetry books from Russia on the 2011 White Ravens list. Sankt-Peterburg: Grif [et al. ], 2010. – 61 p.
DUE TO TECHNICAL DIFFICULTIES, I HAVE NOT BEEN ABLE TO LOAD THIS VIDEO CLIP AFTER MULTIPLE ATTEMPTS. Heck! Here is my IBBY colleague and Russian children's book illustrator, Anastasia Arkhipova, reading a poem from the book above. And here is another Russian work of children's poetry on the White Ravens list this year. Moskva: Ripol-Klassik, 2009. –  p.
The International Youth Library (IYL), the world's largest library of international books for children and young adults, compiles an annual list of best children's books from around the world called the White Ravens list.The 2011 list includes 250 titles in 30 languages from 40 countries. Of these, I found 14 poetry titles-- from 12 different countries. I took pictures of each of the books and found volunteers to read selections from 7 of them for a short video. Here is a poetry book from Japan on the 2011 White Ravens list. Tōkyō [et al. ]: Bunken Shuppan, 2010. –  p.
Here is my friend and colleague, Junko Yokota, reading a selection from this book. She a professor of children's literature at National-Louis University in Illinois, an expert on international children's literature, and Director of the Center for Teaching through Children's Books there. The International Youth Library (IYL), the world's largest library of international books for children and young adults, compiles an annual list of best children's books from around the world called the White Ravens list.The 2011 list includes 250 titles in 30 languages from 40 countries. Of these, I found 14 poetry titles-- from 12 different countries. I took pictures of each of the books and found volunteers to read selections from 7 of them for a short video. Here is a poetry book from Italy on the 2011 White Ravens list. Milano: Topipittori, 2010. –  p.
Even though the Book Fair was in Italy, finding someone to read an Italian poem was surprisingly somewhat challenging! All my IBBY friends spoke OTHER languages! So, my IYL friends recommended a young man at the booth next door and he was kind enough to say yes when I approached him. He spoke English (with me), read the poem in Italian, then asked me if I had any Mandarin Chinese poetry I needed read aloud. Wow! Unfortunately, I have misplaced my notes with his name, so I'll have to come back and add that, when that info floats back to the top. Grazie! The International Youth Library (IYL), the world's largest library of international books for children and young adults, compiles an annual list of best children's books from around the world called the White Ravens list.The 2011 list includes 250 titles in 30 languages from 40 countries. Of these, I found 14 poetry titles-- from 12 different countries. I took pictures of each of the books and found volunteers to read selections from 7 of them for a short video. Here is a poetry book from Germany on the 2011 White Ravens list. Köln: Boje, 2010. – 60 p.
This title was particularly popular with the IYL folks (since the library is in Germany and German is the lingua franca of the library). They were eager to show me the favorite poem from this book (pictured in the page above), a terrific nonsense verse full of German wordplay. Here is one of the IYL language specialists, Ines Galling, reading that clever poem. The International Youth Library (IYL or IJB; Internationale Jugendbibliothek), the world's largest library of international books for children and young adults, compiles an annual list of best children's books from around the world called the White Ravens list. It is based on a selection of titles drawn from books that the IYL receives as review or donation copies from publishers and organizations around the world. The many language specialists at the IYL in Munich read and review these books and select the most noteworthy for inclusion. The "White Raven" label is given to books that deserve worldwide attention because of their universal themes and/or their exceptional and often innovative artistic and literary style and design. These titles are then compiled into the annual White Ravens Catalogue, which is introduced each year at the Bologna (Italy) Children's Book Fair. The lists since 1996 are available in an online database which can be accessed by country or language. 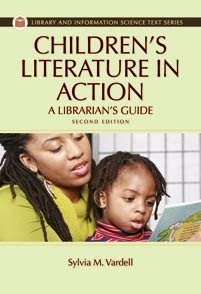 These efforts are also supported by the ICDL (International Children's Digital Library) in the U.S. The 2011 list includes 250 titles in 30 languages from 40 countries. The White Ravens books are displayed at the IYL booth at the Bologna Book Fair. I pored over them (and their published catalog) to identify the poetry books and I found 14 poetry titles-- from 12 different countries. I took pictures of each of the books and found volunteers to read selections from 7 of them for a short video. I'll feature all these in the days ahead. We'll begin with France. Here are two poetry selections from France which made the White Ravens list with annotations provided by the language specialists of the IYL. Here is Nathalie Beau, from the Centre national de la littérature pour la jeunesse- la Joie par les livres at the Bibliothèque nationale de France, reading a poem in French from this White Ravens book (above). Enjoy! And below is information on the second poetry selection from France on the White Ravens list-- a fascinating French-Russian collaboration. Nantes: Éd. MeMo, 2010. –  p.
As co-editor of the journal, Bookbird, the IBBY journal on international children's literature, I've been required (!) to attend the annual Bologna Children's Book Fair in Bologna, Italy for the last 3 years. It's been such a treat-- a lifetime dream, actually-- and such an eye-opener in appreciating the truly global world of children's book publishing. This year, I took my FlipCam with me with the idea of asking my international colleagues to read a poem (from newly published poetry books) in various languages. What fun that was! I'll be featuring 7 of those in the week ahead (French, German, Italian, Japanese, Russian, Dutch, and English), but in the mean time, I thought I might share 2 short (1-3 minute) videos I made of the Fair itself. Just FYI for background, before focusing on the poetry, in particular. Enjoy! And here's a short piece on the special Lithuanian exhibit of children's book art. Posting and videos by Sylvia M. Vardell © 2011. All rights reserved. Time to wind up on the Round Up. Last (but not least) up, Lisa Wheeler! As a child, Lisa Wheeler often lost herself in books. As a teen she could be found hiding behind the pages of a book in the library during lunch. (We all know what a scary place the high school cafeteria can be!) Books were always there waiting for Wheeler to find them, and after spending time raising her children, she found them again. This time they were in her head waiting to come out-- and they did. Wheeler is the author of 31 books running the gambit of children’s literature. She has her beginning reader series, Fitch & Chip, her very athletic dinosaurs, the latest edition, Dino-Basketball, dancing suits of armor (Boogies Knights), and her singing dogs were a “howling” success, running away with the 2006 Texas Bluebonnet Award (Seadogs). Critics have pra ised her repeatedly calling her a “rollicking rhymer” who can spin a yarn with her “neatly honed verse (that) is a pleasure to read aloud.” Her use of clever wordplay, puns, alliteration, refrain and “snappy rhyming text” has made her titles storytime favorites. And favorites with award committees as well. The American Library Association has commended her work with a Geisel Honor (Jazz Baby) and multiple places on the Notable Books for Children list. Her books have also found their way to the School Library Journal’s “Best Books” list and won an Oppenheim Gold Award (Ugly Pie). Wheeler’s most recently published book, Spinster Goose is a clever, satirical twist on classic Mother Goose rhymes. 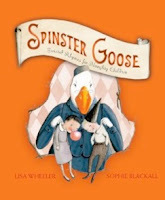 Here, she reads selections from Spinster Goose, revealing a wicked sense of humor! Thanks to Marianne Follis for research and writing our intros! Time to catch up on the Round Up. Next up, Robert Paul Weston! Author Robert Paul Weston has lived in many places and done many things. Former homes include Canada, the United Kingdom and Japan. Former jobs include language teacher, trampolinist, baker’s assistant, television script writer (Power Puff Girls) and financial document shredder. Currently he lives in Toronto and teaches creative writing at the University of Toronto. This totally rhyming novel follows the adventures of a young girl as she explores secret tunnels that run beneath the city and finds herself embroiled in the magical battle of the kingdoms she discovers there. His second novel Dust City (Razorbill, 2010); a fractured fairy tale for young adults featuring wolves, the fallout from the death of a red hooded girl, and synthetic fairy dust, was released last year. Readers have much to look forward to from this up and coming author. Do not miss this videoclip of his amazing performance of an excerpt from the beginning of Zorgamazoo in which he completely embodies the vicious nanny, Mrs. Gremelda Krabone (AKA “Old Krabby”) and the crazed lobotomist, Doctor Reginald LeFang. Even the other poets on our panel were laughing! With a writing career that has spanned 35 years and bibliography that includes approximately 90 titles, how do you briefly introduce Marilyn Singer? Do you discuss her many genres? Name one and she has written something that we can categorize under that heading. Awards? Too numerous to list. Marilyn started her writing career creating teachers’ guides for filmstrips. Her first children’s book, The Dog Who Thought He Wasn’t (Dutton, 1976), was a departure from her then typical norm of poetry, but it felt right, and so it began. Marilyn is not only prolific, but passionate. Her many titles reflect personal events and interests. Through her works her love of animals is present as is her personal beliefs in social equality and discourse. Many of her nonfiction works were created because of annoyance: “When I heard one too many folks call a wasp a bee, or a gorilla a monkey… I got bugged enough to write A Wasp is Not a Bee (Holt, 1995)… Then there was a the time at Prospect Park Zoo when a little boy asked his mom why baboons have such big red butts.. the mother loudly replied ‘Because they’re sick.’ Instead of howling at her I came up with Bottoms Up!” (Holt, 1998). While irritation may have spurred these and other titles, her writing shows nothing but respect for her young audience. The world of chil dren’s poetry has been gifted with Marilyn’s talent. Her most recent contribution to this world was the invention of a new poetic form, the “reverso.” Seemingly simple, the poems, read in the traditional manner, hold one meaning, and when reversed, an entirely new one. 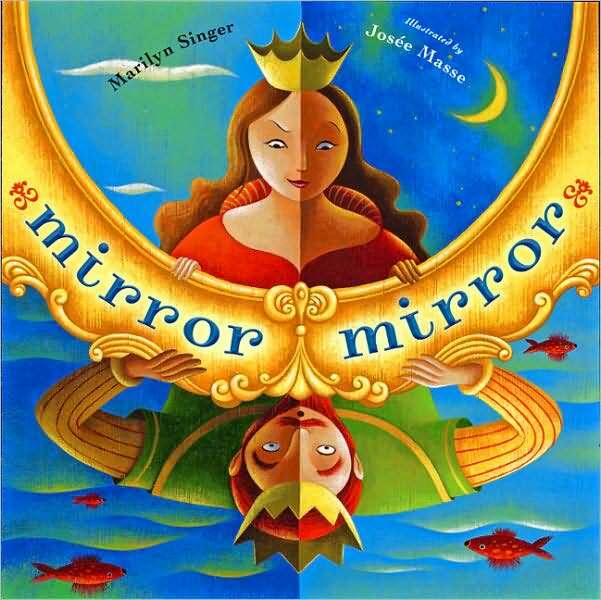 She used this form in her 2010 title Mirror, Mirror: A Book of Reversible Verse (Dutton, 2010), which fits in perfectly with the subject of the title, fairytales, from both the point of view of the traditional hero and the villain. 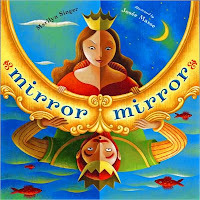 Mirror, Mirror is included on this year’s Texas Bluebonnet Master List. Her most recent books are: Tallulah’s Tutu and Twosomes: Love Poems from the Animal Kingdom. Here, Marilyn reads the "Hansel and Gretel" poem from Mirror, Mirror. She manages to be BOTH the witch AND Gretel with her masterful delivery! Next up, Kristine O'Connell George! Poet Kristine O’Connell George began writing for children after taking a class with Myra Cohn Livingston, who penned the introduction to George’s first book The Great Frog Race (Clarion, 1997) stating "In a time when we have a surfeit of verse whose purpose seems mainly to elicit a quick laugh, it is not only refreshing but urgent that our children hear poetry resonating with music, keen observation, fresh metaphor and personification, and meaningful flights of imagination.… Kristine George promises us that!" George not only promises, she delivers. George has been praised for her playful language, varied usage of poetic form and in finding inspiration in nature as well as in the “every day.” A School Library Journal reviewer commented that George takes “ordinary moments and describe(s) them in accessible yet lyrical language, transforming the mundane into the magical.” Among the too-numerous-to-count honors received are the: Lee Bennett Hopkins Promising Poet Award, the Lee Bennett Hopkins Poetry Award, the Golden Kite Award, the Myra Cohn Livingston Award for Excellence in Children’s Poetry as well as a plethora of state awards. George lives with her family in rural Southern California. On her website she says that when she is not writing she has “more hobbies than free time: tennis, golf, hiking, photography, collage, watercolors, gardening, sewing ... I am a voracious reader and books keep company with unfinished craft and art projects in every corner of my house. I am never bored.” Thank goodness! 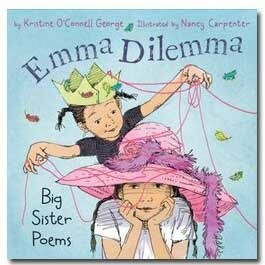 Here, Kris talks about the importance of the topic of sibling relationships in her poetry (the focus of her newest book, Emma Dilemma)-- beginning even with her earliest works!